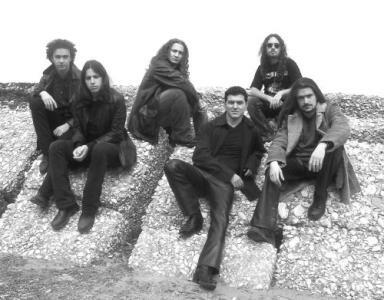 The band was born in winter '95 as project of actual singer Marco La Corte and guitarist Alessandro Saponaro; in the beginning the played music was soft rock, but it evolved in classic metal with guitarist Donatello Menna (who joined the band in september '96,) and in power metal with drummer Diego Chiacchierini (in june '97). After having reached this good stability, (except for the bassist, which has always been unstable in Heavenblast's evolution) the band obtained a certain approvation in some small concerts and pubs, with many songs on a true teutonic metal style Gamma Ray-like with some progressive moments, creating a very personal and characteristic sound. So in summer '98 the boys decided to record a demo, "The Crown of the Light". Although the 5 tracks haven't got a good production, they drew a nice success among people and magazines. In winter '98 Diego Regina, keyboardist, enters the band, addressing the music to a much more progressive style: this line-up will write a lot of new songs, first of all "The Hero of the Eternal Flame", very epic and impressive song, and "Last Smile", powerful and struggling ballad. In february 2000 Fabrizio Carota will joined the band: he has been the most stable bassist in Heavenblast's line-up ever. 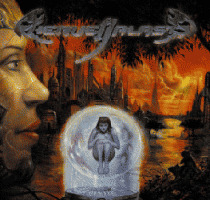 In july 2000 another demo was recorded (called simply "Heavenblast") mainly in order to test the band's skill in a studio work, but also to let people know how the style evolved and the band improved since "The Crown of the Light". In spring 2001 the band recorded its first full leght album for famous italian laber "Underground Symphony". Not very long after the recordings Diego Regina and Fabrizio Carota left the band, being soon replaced by Francesco Di Giandomenico and Lorenzo Colucci. Many new songs will be composed, and the band is getting ready to the recordings of the 2nd album, in autumn 2003.